Buy hot tubs in Coventry & surrounding area. 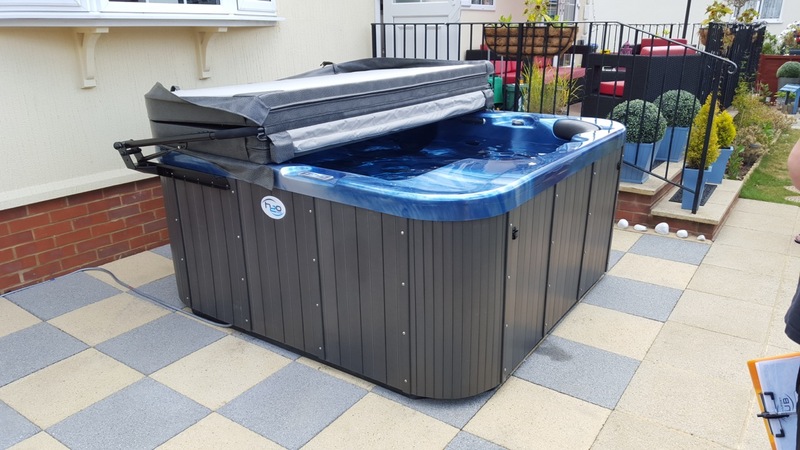 If you are in and around Coventry and looking for a quality, affordable hot tub for year round enjoyment of your garden, we can help! At H2O hot tubs we have developed a fantastic range of hot tubs no matter how large or small your garden. Click on the links below for just a few of our in stock range all ready for delivery! All of the above spas have been manufactured for the UK climate with all of the quality and robustness of a more expensive hot tub, but at a more reasonable price. Some of the most popular features and functions include LED mood lighting for a spectacular setting and waterfall features as well as special neck and back jets within the range. We wanted to make sure our customers could enjoy their hot tub all year round, so we’ve also added the state of the art Balboa control technology - Balboa BWA wireless control system allows you to control all features of your hot tub from your smartphone or tablet, ideal to set up whilst you're getting ready you can set the temperature, start the jets and lighting so all you need to do is lift the cover, step in and enjoy! We provide hot tubs in Coventry and can deliver, install and service too!